I tattooed a number on her arm. She tattooed her name on my heart.In 1942, Lale Sokolov arrived in Auschwitz-Birkenau. He was given the job of tattooing the prisoners marked for survival – scratching numbers into his fellow victims’ arms in indelible ink to create what would become one of the most potent symbols of the Holocaust. Waiting in line to be tattooed, terrified and shaking, was a young girl. For Lale – a dandy, a jack-the-lad, a bit of a chancer – it was love at first sight. 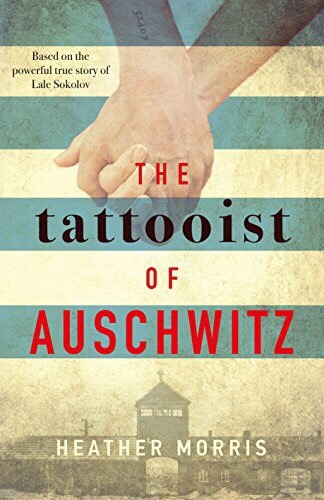 And he was determined not only to survive himself, but to ensure this woman, Gita, did, too.So begins one of the most life-affirming, courageous, unforgettable and human stories of the Holocaust: the love story of the tattooist of Auschwitz. I’m an emotional coward with regards to my reading or, is it just I’m a coward? Whatever the reason I tend to avoid books that I know will upset me. The boy in the striped pyjamas will forever be just that; just a boy and never a book I’ll read; or a movie I’ll ever watch. However another book, ‘I am David’, is my favourite book of all time. It’s also about a boy, a boy in a war torn world. A boy with a happy ending. So why did I pick this up? I think it held echoes of another favourite of mine, a book with a girl called Lara. (Dr Zhivago). And that’s what I feel is part of this book’s magic. It weaves wisps from the past into something unique, something wonderful, something memorable. This isn’t a quick read. This isn’t a book you’ll fly through only to relegate to the mists of time. This is a book that will linger because it holds both dreams and tragedy within its pages. A book better than the sum of its parts because at its centre are the horrors that we can’t bear to think about and yet we must if we’re ever to grow as a society. Magnificent.